★ LOOGAROO ★: ART SHOW - GO! 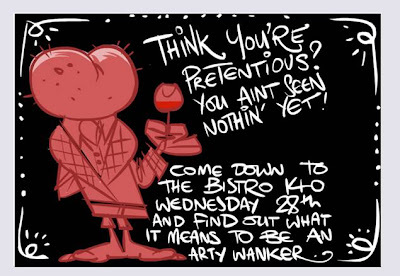 Art show coming to the local Bistro this week here in Miramichi. Featuring Fatkat artists, Mick Harrison, Justin Coffee, Patrick Dorian and Dan Helle.